Clouding Around: Father of Modern Gaming: RIP, Dude! Father of Modern Gaming: RIP, Dude! Satoru Iwata passed away over the weekend. If you don't know who he is, well, the dude is a giant in modern video games. 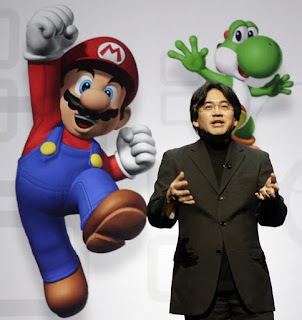 He lead the Nintendo to new highs and innovations. He helped usher in the moble gaming industry that we know of today. Think Wii, Mario, and Pikachu. That's him. If it was not for him and Nintendo, gaming on your Androids and iPhones would be vastly different and quite possibly inferior.